Welcome to Triton Seafood, home to Florida's best conch fritters. 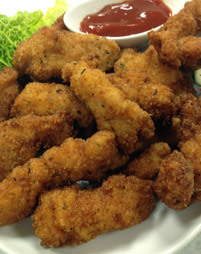 Over 25 years ago, we took the foodservice industry by storm when we decided to elevate the humble conch fritter from an appetizer afterthought into the main attraction. 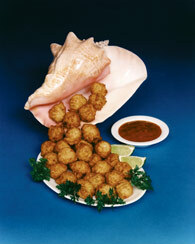 Traditionally, conch fritters were made from discarded conch pieces that were left over after making conch salad. 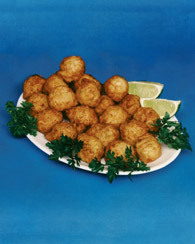 Because conch fritters are too delicious to be made from leftovers, we created Neptune's Conch Fritters. 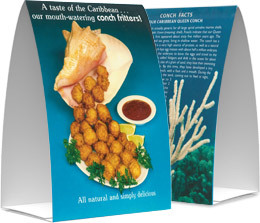 The only conch fritters on the market to be made with the only 100% clean Conch Fillet. 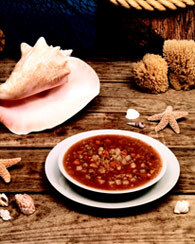 Mix that with only fresh vegetables and spices and you have the most mouth-watering fritter. Our products are currently available to foodservice distributors throughout the United States and parts of the Caribbean.